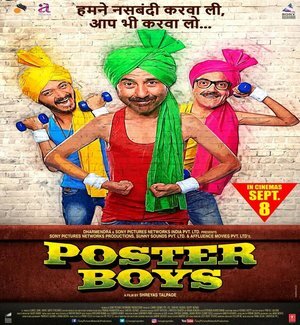 Poster Boys is an Upcoming Bollywood Film in 2017, It is Comedy, Drama Film and Sunny Deol, Bobby Deol, Shreyas Talpade in lead roles. This film is Directed by Shreyas Talpade and Produced by Sony Pictures Networks Productions, Sunny Sounds Pvt. Ltd and Affluence Movie It is made under the banner of Sony Pictures Productions. Poster Boys is scheduled to release on 8 September 2017. 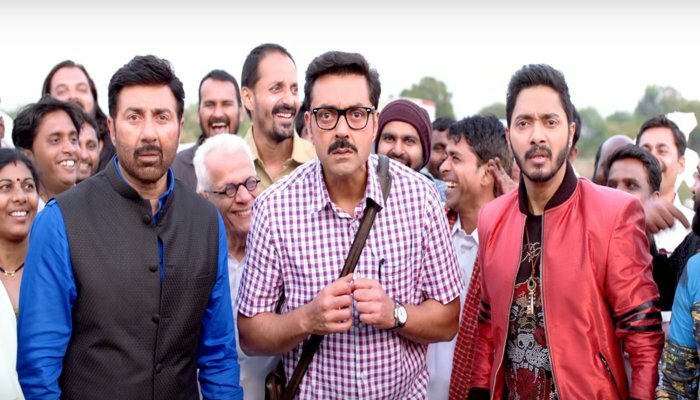 This film by Shreyas Talpade is the Hindi remake of his Marathi film 'Poster Boys'. Through this film, Shreyas is going to step in the direction for the first time. So Bobby Deol will be there on a screen after a long time. Sunny Deol and Bobby Deol will also be seen together for the first time after the Yamla Pagla Deewana series. Storyline:- The world turns upside down for 3 men, Vinay Sharma (Bobby Deol), Jaagavar Chaudhary (Sunny Deol), Arjun Singh (Shreyas Talpade) when they find their pictures on poster promoting 'nasbandi' vasectomy. And then, starts their journey of getting humiliated by their families and society rebelling against the system which landed them in this confusing mess in 1st place.